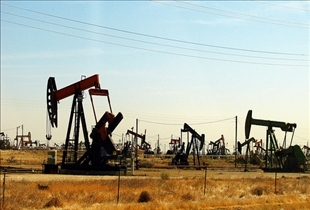 Geothermal Energy vs. Fossil Fuels: Its Time for a Change! With the rapidly dwindling fossil fuel reserves that the world increasingly has to contend with, a number of alternative energy sources have been proposed in order to feed the continued global demand. One of the technologies that have received a large amount of press is geothermal energy, and it is thought by many to be a feasible alternative to fossil fuel. Does geothermal energy indeed have what it takes to measure up? Let's see! In terms of emissions, geothermal energy definitely results in a lot less than that produced by fossil fuels energy sources. Geothermal energy has a comparable emissions output to other sources of renewable energy such as solar and wind power. It has also been determined that geothermal energy produces as much as 50 times less carbon dioxide, nitric oxide and sulfur emissions than fossil fuel energy plants. This is a particularly important point to consider since fossil fuel power plants is thought to be one of the main contributing factors to global warming and ozone layer depletion. One of the main benefits of geothermal energy is its relatively low cost compared to fossil fuel energy sources and even other alternative energy sources. Wind power for instance can be quite costly to implement, and fossil fuel power pants are more expensive still. Geothermal energy costs only 5 cents per kWh to produce, making it 50% lower than the cost of producing power from fossil fuel sources. 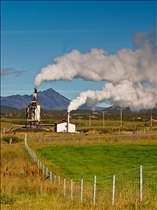 Geothermal energy also has the benefit of relying on a virtually inexhaustible fuel source, which is of course steam. Fossil fuel plants on the other hand utilize an energy source that is rapidly dwindling, much to the concern of the industrialized world. Geothermal energy is actually quite a reliable energy source since it will work with virtually any weather or light conditions. This makes it a lot more dependable than solar or wind power, which rely on the time of day and the presence of wind respectively. Geothermal energy also has the advantage of being more efficient than other energy sources, with such plants producing about one-tenth more the energy produced by solar-driven power plants. When a geothermal energy unit measuring 11’ x 17’ was tested recently, it was found to produce as much as 225 kW of power, in a much smaller space than a solar PV would require. Which energy source is a better choice? Australian vs. German Solar Energy: Better green model? Global Warming vs. Climate Change: What's the difference? Chemtrails vs. Contrails: What's floating in your air? BP vs. Exxon: How do they manage crises?